I remember the first time I saw the Keyhole technology, what eventually became Google Earth. A friend who got his hands on it showed it to me and I was blown away at being able to pan and zoom around the globe so effortlessly; I recall it being hard to pull me away from it. Now, roughly 20 years later, the ability to see satellite imagery of any spot on the globe at any time on any device is taken for granted, as if we all have the right to see the earth from space. 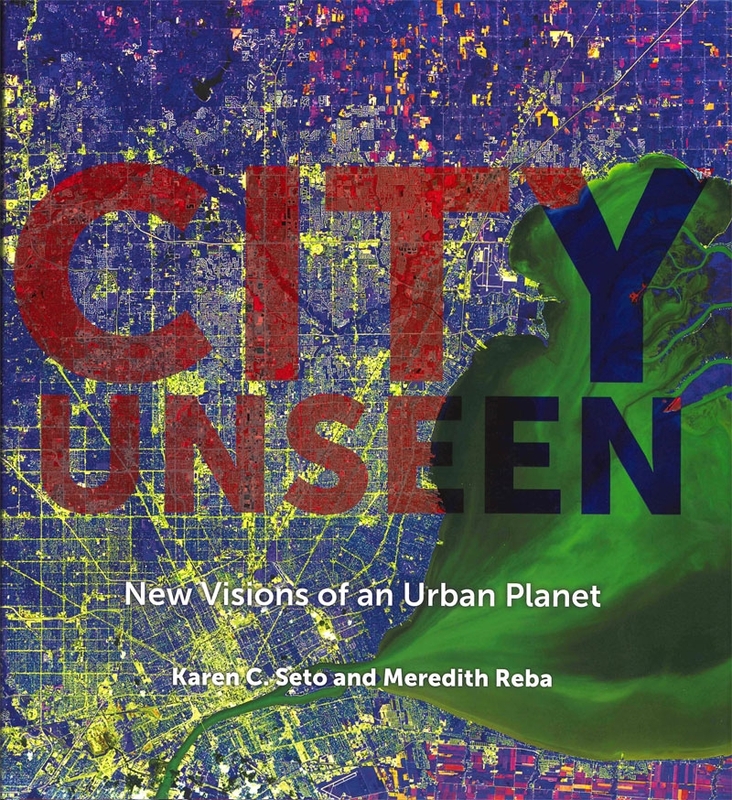 But as Karen Seto and Meredith Reba put it in their introduction to City Unseen, "with access [to satellite imagery] comes responsibility – to make more informed decisions about how to design, plan, construct, and operate cities in better, healthier, more sustainable ways." 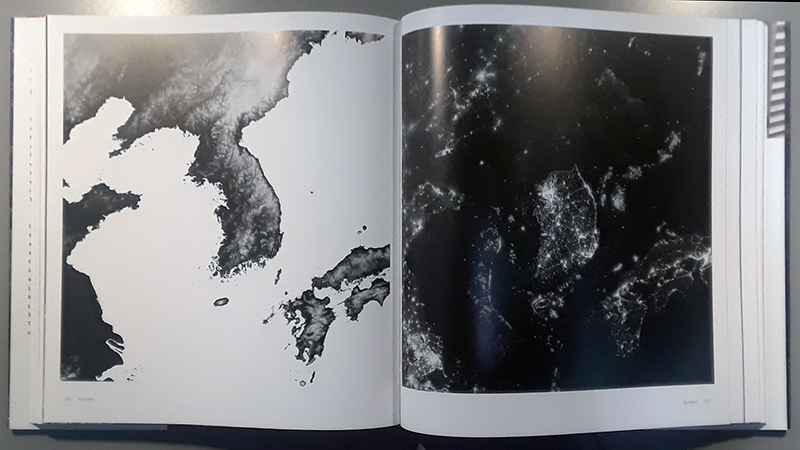 They have assembled satellite imagery of 100 places around the globe as an expression of that responsibility. 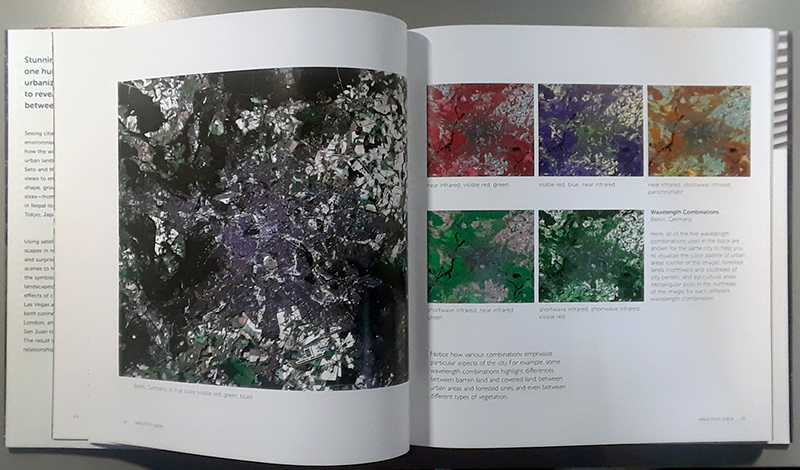 The 100 places are put into three chapters that focus on the landscapes around cities, more detailed views of urban agglomerations, and the way "demand for urban resources is changing landscapes." But first is "views from space," a chapter that explains why, for instance, the cover image (of Detroit, Michigan) looks the way it does. 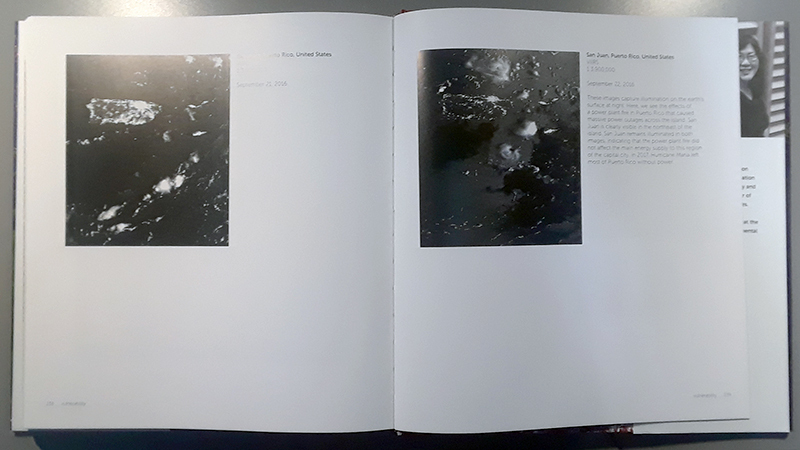 By combining visible and nonvisible wavelengths of light in various ways, Seto and Reba are able to emphasize certain characteristics, which they spell out in the text alongside the images. 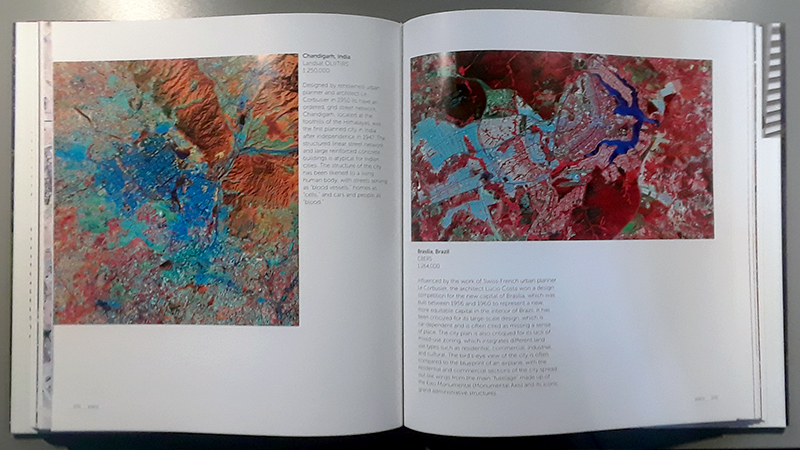 The choices of location, time, scale, and wavelengths of light combine to create an illuminating if often dour depiction of how we inhabit the earth. But it's also powerful. Two nighttime satellite images one day apart draw attention to the island-wide power outages that plagued Puerto Rico after Hurricane Maria – just one of many examples where satellite data holds deeper meanings.